April | 2013 | Mike Gil, Ph.D.
My shipmate Tommy trying to hook the piece of floating dock! The expedition was certainly a success: our eclectic crew of 38 came together as a tightly knit team and sampled and surveyed a whole lot of plastic garbage, ranging from tens of thousands of tiny (< pinky-nail sized) pieces, all the way up to a piece of floating dock and a capsized dingy (small boat). We even came across a refrigerator floating by with food still in the freezer! (Don’t worry, our food supplies on the ship were more than ample, so no one was tempted). Small plastic toy ball with what appears to be a Japanese cartoon character on it, now covered in barnacles and crabs. Nearly every piece of plastic with discernible markings on it was of Japanese origin and likely ended up in the middle of the Pacific after Japan’s devastating Tōhoku tsunami in 2011. 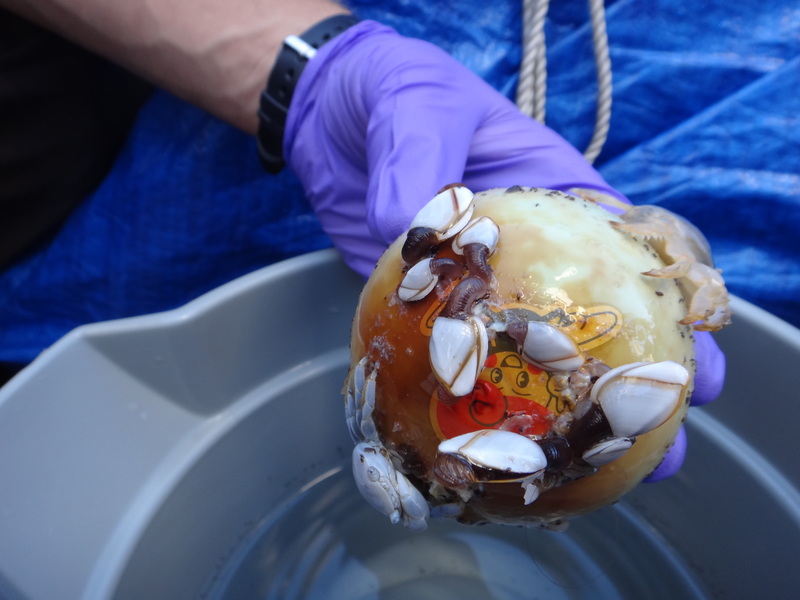 It was a somber feeling analyzing the marine life that had accumulated on a child’s toy ball, knowing that the owner may have been a victim of such a tragic natural disaster. At the same time, I was astonished by how much of this debris made it so far south of Japan, just by bobbing on the surface of the sea. We are now in the midst of processing the expedition data, but in case you were wondering: No, there is no island of plastic in the middle of the Pacific Ocean! This is certainly a relief, but unfortunately we are not out of the woods , because what we did find out there in the middle of the ocean were countless tiny pieces of plastic. Everywhere! These small pieces are the result of weathering and breaking up of larger pieces of plastic that have been floating around the ocean for who knows how long. What does this mean? What can plastics, small or large do to natural ecosystems in and around the ocean? The answer: We do not know. 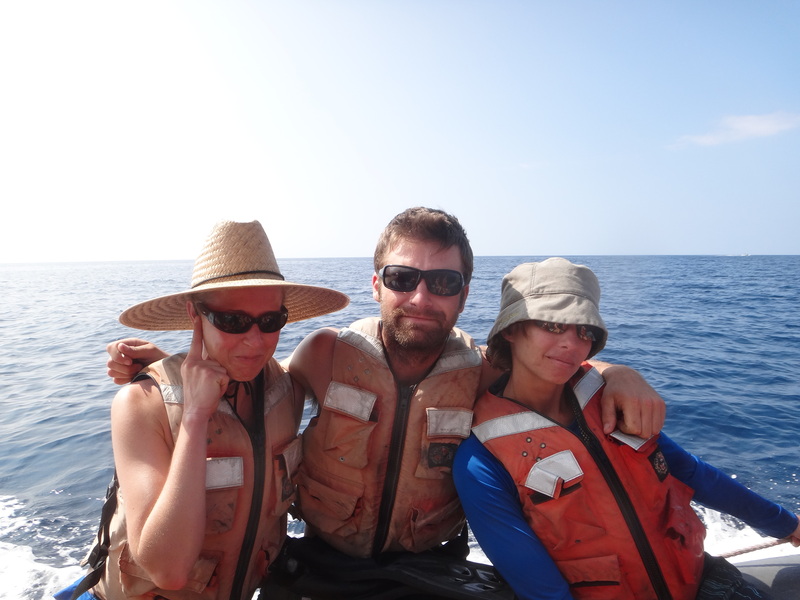 But we hope that the data collected from this expedition will help shed some light on this mystery. My watchmates Cina, Tyson and Whitney. Shortly before this photo was taken, we had a shipboard mock presidential election, in which Tyson and I (“Mike Tyson”) won by a narrow margin. Cina and Whitney were our secret service agents during the debates, hence Cina’s earpiece. 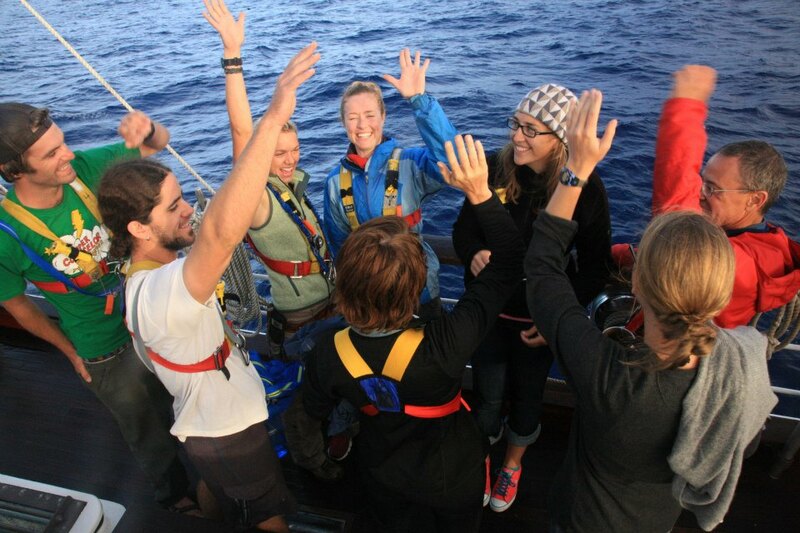 After 32 days at sea with no land in sight, we finally sailed into the Hawaiian islands from the NE and made landfall on the west coast of the Big Island at dusk on November 5th. As I remembered from my previous sailing adventures, setting foot on dry (and more importantly stable!) land after living on a constantly moving–sometimes violently–object is something you never forget. It was a great feeling, and the first steps that my watch mates and I took onto the Hawaiian shores just so happened to be at the very spot where Captain James Cook was murdered in 1779. Not the most cuddly of historical sites, but an important one nonetheless. Fortunately for us, we were not fleeing from aggressive natives but were instead running freely up to the lookout point and then snorkeling gleefully in cool, inviting waters thick in a rainbow assortment of corals and reef fish. It was an impressively healthy system, and it was an absolute pleasure of a stop over. 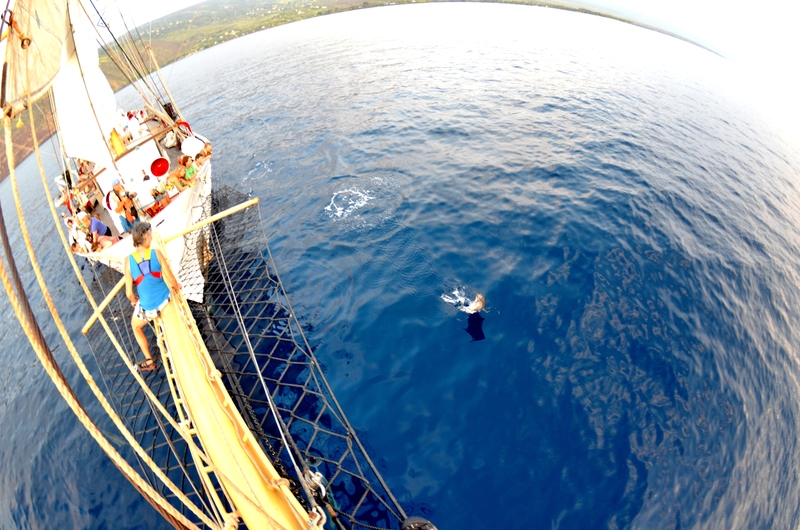 We even got a surprise (and much appreciated) swim call from the captain–finally, we got to jump into the beautiful waters that we had been sailing through for over a month! Me and Gary Borda (a.k.a., “Gare Bear”, a.k.a. 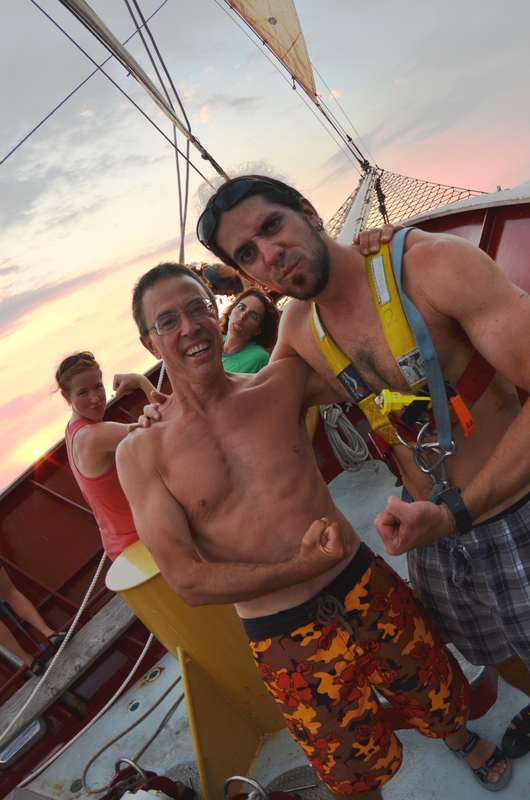 “Honey Butter”), my workout partner on the ship and retired lawyer for NASA. Gary had the energy of a hyperactive 18 year old and really helped bring out the silliness that was A Watch. 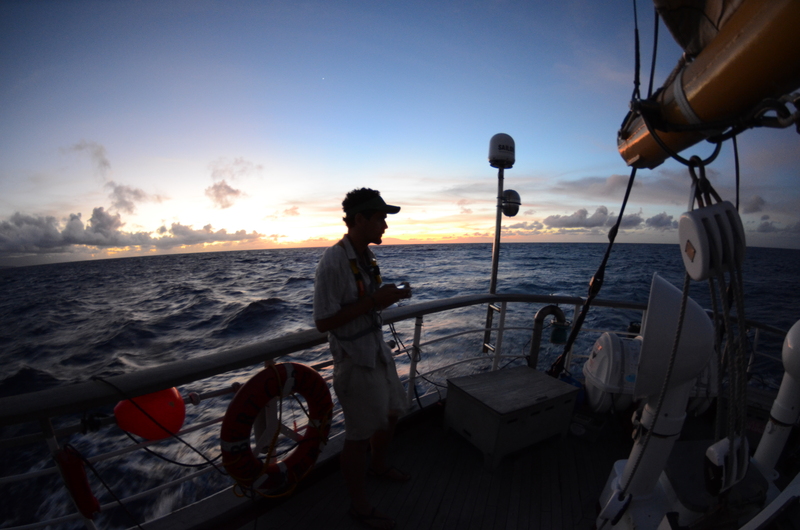 Trent hanging on the quarterdeck and taking in the sunrise as we sail from the Big Island to Lanai. the island itself, it certainly looked pretty cool from the ship. Actually, it is unclear whether we would have been able to legally enter anyway, since 98% of the island was recently purchased by billionaire Larry Ellison. Either way, we were content with admiring Mr. Ellison’s property from a distance, while we got the ship ready for her public entrance into the harbor in Honolulu the next day. 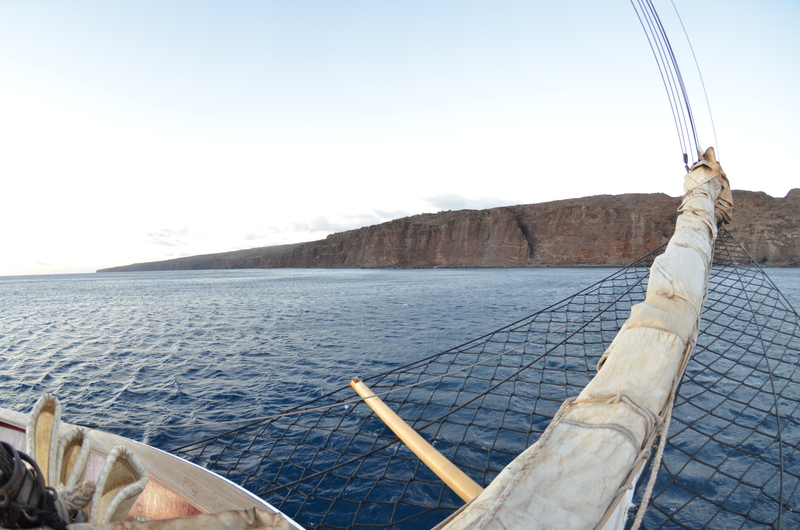 The island of Lanai from the bowsprit of the SSV Robert C. Seamans. The end of the expedition happened very quickly. From the moments when our Captain skillfully guided our 134′ ship into a narrow port space in Honolulu, to our final goodbyes and flights off the island, time went by like a whirlwind. We celebrated our first night on land in 36 days with the whole crew at a local pub. The captain bought the first round, toasting to his crew, before we unleashed our pent-up fury on the bar, with gratuitous acts of group dancing and un-solicited karaoke (including the original shipboard track “Don’t Stop 2-6 Heavin’!”). I’m sure we were a sight for the regulars, but it was all in good fun. The next day, we took in the beauty and culture shock offered by the very crowded but undeniably picturesque Waikiki Beach. 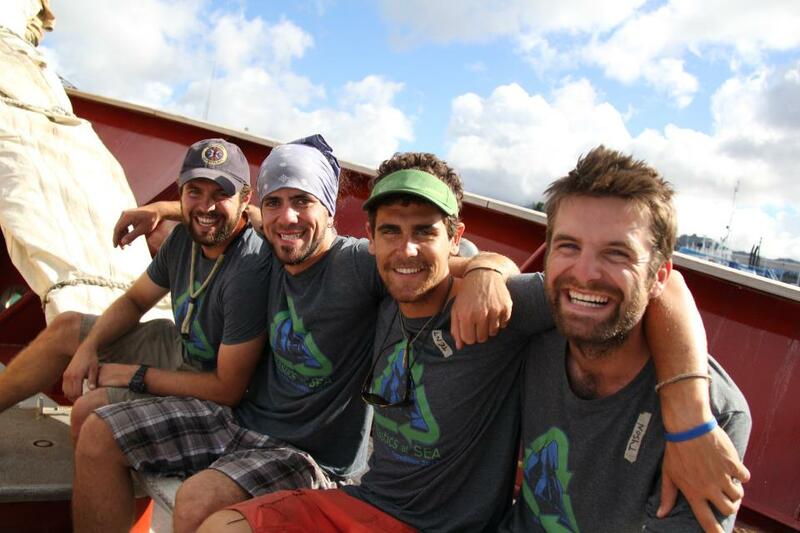 That is, until I got a text message from my buddy Trent… Trent is part of “The Four Amigos” (pictured below), who have a rich history of high seas adventure together. Saily bros: From left to right, Bart, me, Trent and Tyson reunited to once again sail the Seamans across the Pacific Ocean in the name of Science! Over the course of our friendship, Trent has had a history of great things waiting for him at the dock: in Tahiti in 2008, it was his girlfriend holding his surfboard, ready for a campin’, surfin’ safari, and this time it was his parents who decided to come spend some time with their son on Oahu’s North Shore. Anyway, in Trent’s text, he mentioned that we should join him on the North Shore at Jack Johnson’s house. This seemed like a joke at first, but the North Shore did seem like an awesome place to check out, so a crew of us decided to take Trent up on the offer. Well, he wasn’t kidding, and not only did we get to hang out and have a delicious BBQ at Jack Johnson’s (childhood) house and meet Jack’s mom (who is super sweet by the way) and family dogs, but we got to post up on the most incredible spot on the North Shore–the Bonzai Pipeline. 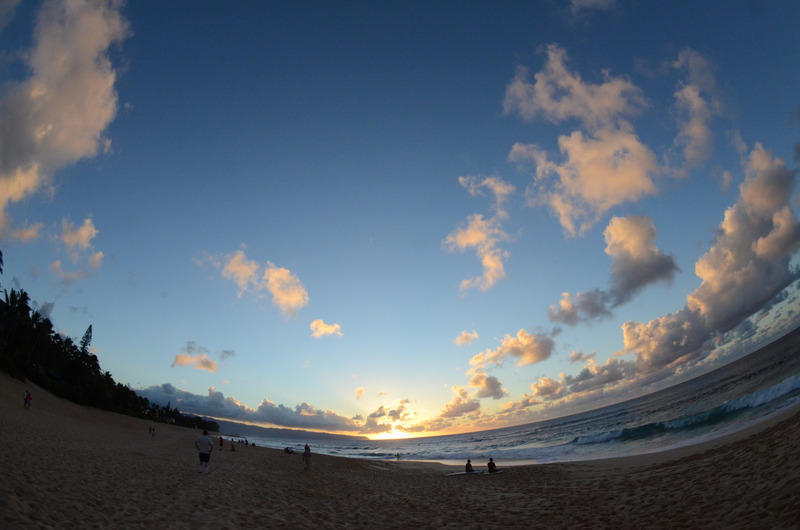 Sunset from our secluded spot on the North Shore or Oahu, Hawaii. No one was around except pro surfers and the women who love them, so the beach was virtually ours! And what a beach–I can see how Jack and others were so inspired by that break in the waves, which was literally right outside of their windows. It made me wish I was a better surfer, and it also gave me a higher appreciation for the skill that these world-class athletes posses. Some of them were just tiny kids with tiny surfboards! Incredible. But instead of surfing, we just kicked back, relaxed and took in the unique scene. Some of the gang hanging at Bonzai Pipeline on the North Shore in front of Jack Johnson’s house. Tyson and I stayed in a hostel that night, which was a funny experience that showed us the less appealing side of the surfing culture in the form of a very inconsiderate and heavily under-the-influence ‘surfer dude’ room mate. The next day, Tyson and I held up our long-standing tradition of renting shoddy bikes to ride around remote Pacific islands and had a fun time exploring the beaches of the North Shore. “Mike Tyson” toasting good bye in Honolulu. Before we knew it, it was time to fly to our respective corners of the world. 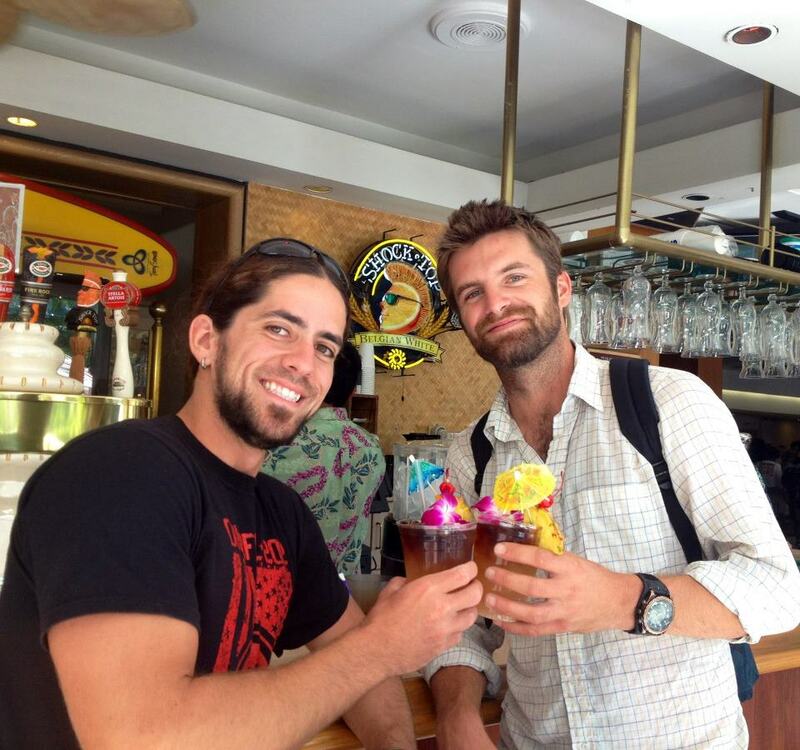 Tyson and I had a chance for one last toast at the resort hotel where some of our more pampered shipmates had been staying, and then, just like that, I parted ways with the crew of the SEA 2012 North Pacific Plastics Expedition. 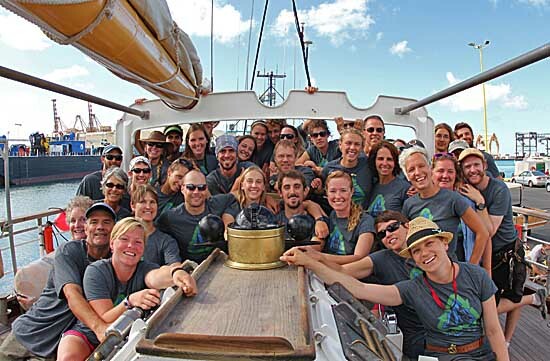 It’s a strange thing, how the extraordinary conditions of sailing a research vessel across a wide expanse of open ocean can bring a group of people together. I am grateful that I was able to be a part of such an impressively diverse and caring crew of individuals. I know that I’ve strengthened old bonds and formed new, lifelong friendships as a result of this expedition, and once again, SEA has showed me just how powerful teamwork can be. Fair winds to the shipmates (old and new) with whom I’ve been privileged enough to share the deck of the SSV Robert C. Seamans. It’s been a blast!